Some guys trim their pubic hair, others prefer to shave or wax, and most guys just leave it alone. It’s not necessary to remove the hair in this area to keep your body clean; it’s just a personal preference. Trimming: Trimming is the most basic and affordable way of maintaining the appearance of your pubic hair. You can use a good pair of scissors to trim your hair. An easier way to trim is with an electric trimmer – just remember that you have to use it when you are dry, meaning never in the shower or the tub. Shaving: Some guys who want to remove pubic hair prefer not to shave because the hair usually grows back in just a couple of days. In the meantime, your genital area can feel itchy and prickly because the skin in this area is very sensitive. Over-the-counter “depilatories” or cream hair removers: This method of hair removal is painless, but it’s important to be aware that not all “depilatories” are safe to use in your pubic area. Be sure to read the product label first to make sure it is safe to use on this area, and follow the directions on the package. These products can have a strong, unpleasant smell. Don’t leave the cream on any longer than indicated. If you notice redness, swelling, or a rash, it could be mean that you are allergic to this type of hair remover. Waxing: A thin layer of warm liquid wax is applied over the hair you want to remove. Next, a thin cloth-like material is placed over the wax before it hardens. It takes a couple of seconds for the wax to get hard. Once hard, the cloth strip is quickly pulled off. This method of hair removal stings (when the cloth is pulled off). Waxing is different than other hair removal methods because the hair is removed from the root so it doesn’t grow back as quickly. If you decide to remove your pubic hair using the wax method, it’s best to have it done at a salon or spa that offers waxing as a regular part of their services. If the wax is too hot, you could burn your skin. Do not shave before waxing. Laser hair removal: Laser hair removal is done by a professional and is a procedure that uses a strong beam of light that penetrates the skin to destroy the hair follicle. 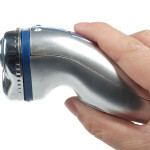 The laser beam gives off heat that destroys the hair follicle. The hair eventually falls out. Results can vary from person to person and some people may notice temporary redness and swelling after the treatment. The procedure itself can take up to an hour depending on how much hair is removed, and you must wear protective eye wear throughout the treatment. Laser hair removal can be pricey and take 5 or more sessions. Sometimes it may not work. If you choose this method of hair removal, first schedule a consultation with a doctor who is board certified in dermatology or cosmetic surgery and who has experience with performing laser hair removal. Electrolysis: Electrolysis is the only hair removal method that permanently removes the hair. A needle shaped electrode is used to destroy the hair root. It usually takes up to 25 sessions to completely remove all the hair roots and the cost can vary depending on the treatment. Apply shaving cream or gel with aloe vera or another soothing agent (made for men) over all the areas you plan to shave. Reapply as needed. Use a new/sharp razor – DON’T use a dull blade or disposable razor. If you develop a rash, red bumps, or itching on your pubic area there are remedies you can try at home. Symptoms usually go away within a couple of weeks.